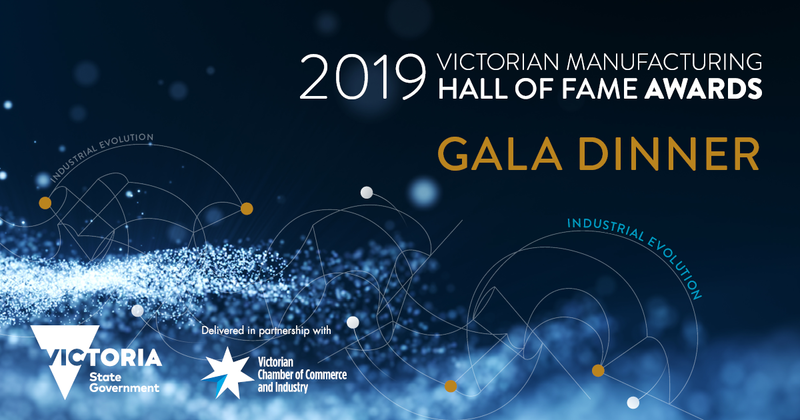 Hosted by the Minister for Jobs, Innovation and Trade, the Hon Martin Pakula, the Victorian Manufacturing Hall of Fame Award winners will be announced at a Gala Dinner held on Tuesday 14 May 2019. The Gala Dinner and Awards provide businesses and individuals working across manufacturing with a great opportunity to connect with leaders from across the manufacturing industry and this year's winners. Adopting the theme of “Industrial Evolution”, the 2019 awards will recognise the innovative, visionary and entrepreneurial businesses that contribute to the strength and future of Victorian Manufacturing. Victoria’s manufacturing industry currently contributes over $30 billion and the Victorian Government is committed to supporting growth in the state’s manufacturing sector. The Victorian Manufacturing Hall of Fame Awards illustrate the strength and excellence of Victoria’s manufacturing industry – and its bright future. The Victorian Manufacturing Hall of Fame Awards and Gala Dinner will be held at Peninsula at Docklands on Tuesday, 14 May 2019.